A review of the 4Runner 5th Gen Spacer Lift Kit from DayStar. An affordable spacer lift kit to enhance the appearance of your Toyota 4Runner without sacrificing ride quality or load-carrying capacity. 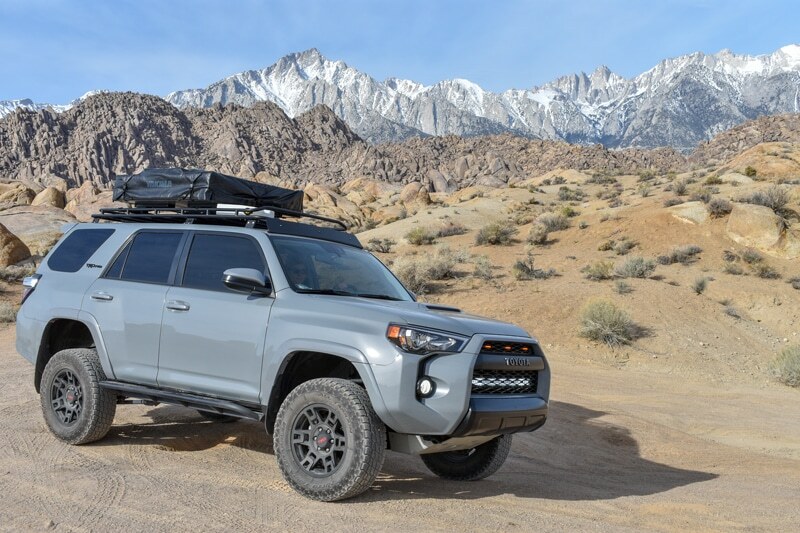 The 4Runner Spacer Lift kit from Daystar Suspension Parts is an easy and affordable way to add some height to the stance of your Toyota 4Runner 5th Gen. The Daystar spacer kit is designed to add lift to your front and rear suspension. Unlike leveling kits, the Daystar Spacer actually lifts your vehicle in the front and rear of your vehicle. The DayStar kit is made from a durable polyurethane material, meaning that there is never metal-on-metal contact. The lift kit raises your 4Runner 2.5” in the front and 1.5” in the rear. 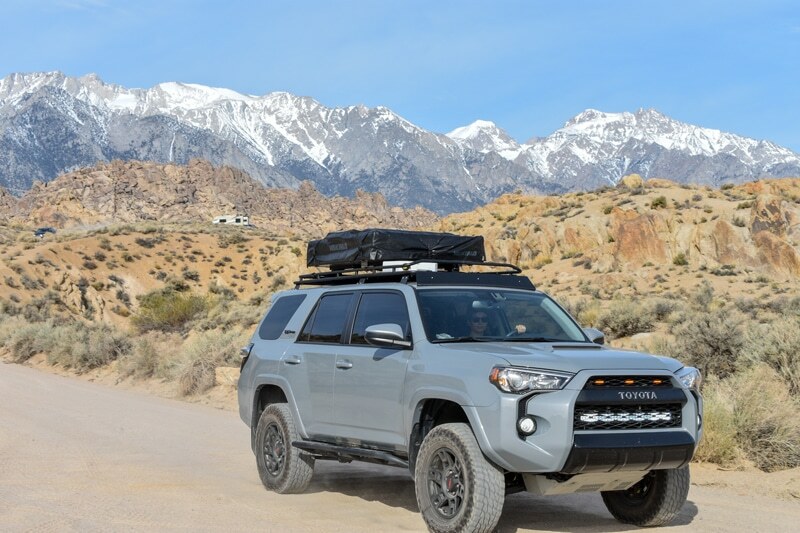 Because most 4Runners come off the lot with a raked look, this results in a more level, lifted look that also allows for larger tire clearance as well as frame and ground clearance for off-roading. The 4Runner Daystar Spacer Kit is a very affordable option, ranging from $125 to $160 for the complete kit. While a professional installation is usually suggested, I was able to install the spacers in my family’s shop in under 2 hours. It was a very easy and straightforward installation. If you are taking the spacers to a shop for installation you can expect to pay anywhere from $150-$250 for the installation. This means you can be looking at a complete lift on your vehicle for under $500. Meanwhile, an off-road suspension lift and install can cost anywhere between $1,000-$3,000 depending on the kit. This is a great option for those who are looking for a lift for more aesthetic reasons vs off-road performance. Although there are some people out there who disagree with spacer lifts for performance reasons, I have taken the Daystar Spacer Lift kit out on the trails in my 4Runner TRD PRO and had no issues. The kit performs and feels like a factory suspension with no noticeable differences on or off the trails. I’m very happy with how the kit has performed for the last 20,000 miles on my 2017 Toyota 4Runner TRD PRO. My main concern when installing a lift kit was compromising the ride or suspension performance of my Toyota 4Runner, and am happy to report no issues. Be sure that you take your 4Runner in for a wheel alignment after installation. You should always do an alignment after you make modifications to your suspension as things can shift during the install. There may also be a slight decrease in your vehicle’s mileage if you install this kit. 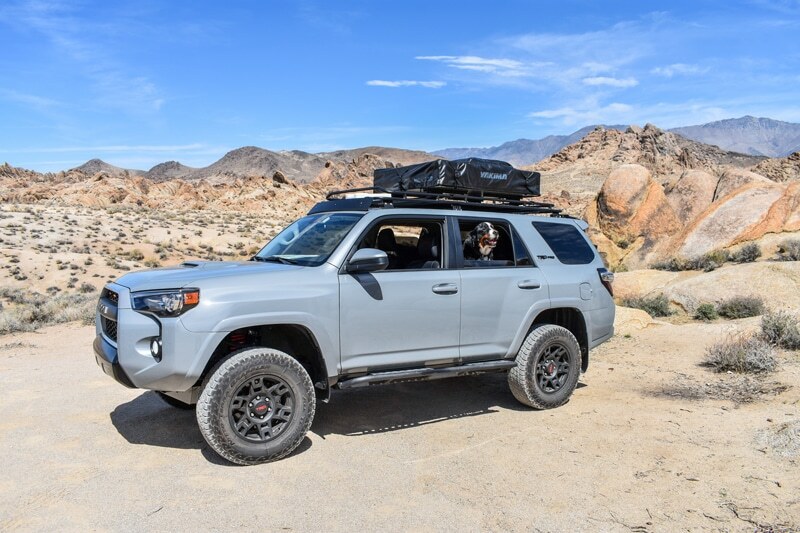 Overall, the Daystar Spacer Lift Kit for the Toyota 4Runner is a great option for those looking for an affordable lift for their4Runner. The kit does not affect factory ride or suspension performance and helps level out the vehicle while adding some extra height allowing for larger tire clearance as well as frame and ground clearance for off-roading. Next articleWhat is an Electric Mountain Bike? I’m considering this spacer lift for my 18’ 4R TRD Pro. What tires are on your 4Runner? I’m wondering if the stock Nitto Grapplers would look ok. Thx for the info! What tires do you have on your 4Runner? Stock Nitto Grapplers? Your setup looks great. Thx.